Everything we know about what’ll likely be one of the year’s best phones. Google first introduced its Pixel series in 2016, and since then, has been hard at work to establish itself as a serious player in the smartphone market. Google may be one of the most powerful and iconic companies in the world, but when it comes to hardware, is still very much a newcomer. We saw vast improvements with the Pixel 2 compared to the original Pixel line, and we’re expecting to get that again with the Pixel 3. Google’s quickly learning what it takes to compete with the likes of Samsung and Apple, and seeing as how the Pixel 2 was one of 2017’s best phones, there’s a lot riding on this year’s entry. Ladies and gentlemen, here’s everything we know so far about the Google Pixel 3. 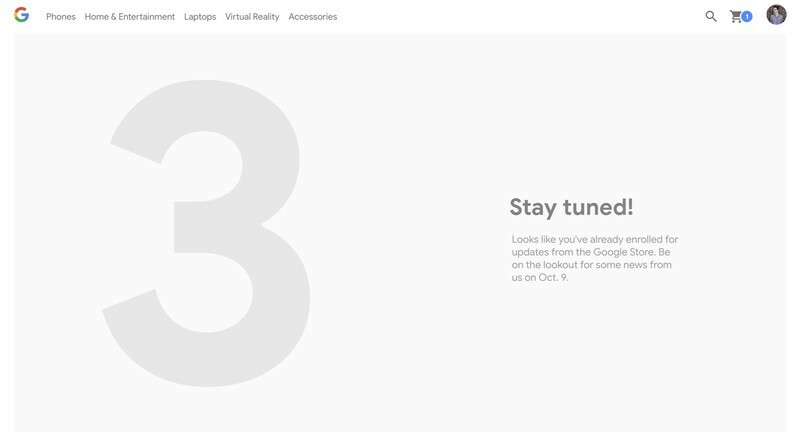 With a little over three weeks to go before the big October 9 event, Google’s shared two new teasers to get people excited for the Pixel 3 and 3 XL. In addition to that, a Google page in Japan has a much fancier promo page that also potentially reveals a new color that we’ve yet to see in any of the leaks. 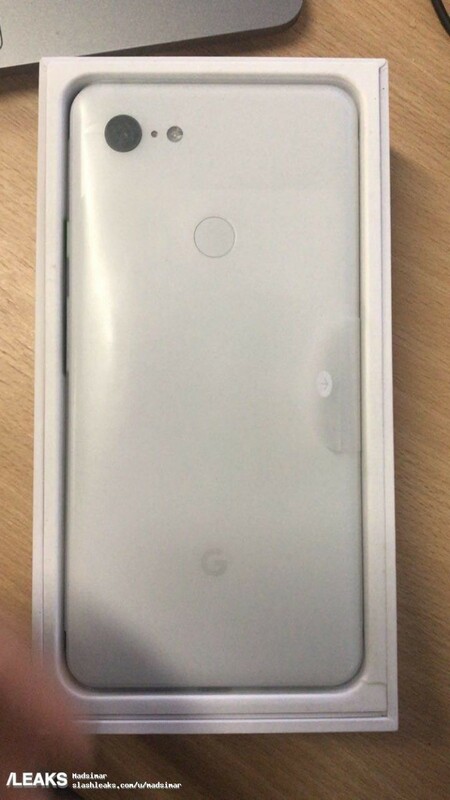 If you visit the page on your smartphone or tablet, you’ll see large text at the top that says “Coming Soon.” Below that is an outline of a phone with Google’s “G” logo at the bottom. You can rotate your device side-to-side to move the outline of the phone on the page, and tapping on your screen cycles between a white, black, and mint background. These background colors also fill in the phone outlines, suggesting that these are all colors that’ll be available for the Pixel 3/3 XL. We’re already expecting white and black, but this is the first time we’ve ever seen a reference of a mint option. Google has just sent out invites to the press for a hardware event in New York City, and just as rumored it will take place on October 9. The invite came in with a delightfully designed (and very swiftly swoopy) animated gif that honestly doesn’t give us any hints as to what we’ll be seeing. But there’s no reason why this wouldn’t be the launch event for the Google Pixel 3 and 3 XL. The only question is whether we see more than the two phones. Last time around, Google had a blockbuster event that was ostensibly for the Pixel 2 and 2 XL, but also included the launch of the Google Home Max, Google Home Mini, Pixel Buds and Pixelbook. If Google pulls out all the stops once again, we could be in for a huge hardware launch event. Last year’s event was in San Francisco (and on October 4), but it’s hard to read too much into a venue switch to NYC — it’s an easy place for press from all around the world to get to, and Google maintains a large presence in the city. Google will be streaming the event live, as well. Before we head out for the week, let’s end our Friday on another Pixel 3 tidbit. Today, FCC listings A4RG013A and A4RG013C from Google appeared — likely relating to the Pixel 3 and 3 XL, respectively. These numbers line up to last year’s phones where the Pixel 2 was G011A and the 2 XL was G011C. Although no new information is revealed in these listings, it’s once again confirmed that Foxconn is the manufacturer rather than HTC or LG like we saw with the Pixel 2 series. Although the Pixel 3 XL has been leaked to death at this point, we still haven’t seen much on the regular Pixel 3 outside of device renders. However, thanks to a user over on Reddit, that’s now changing. 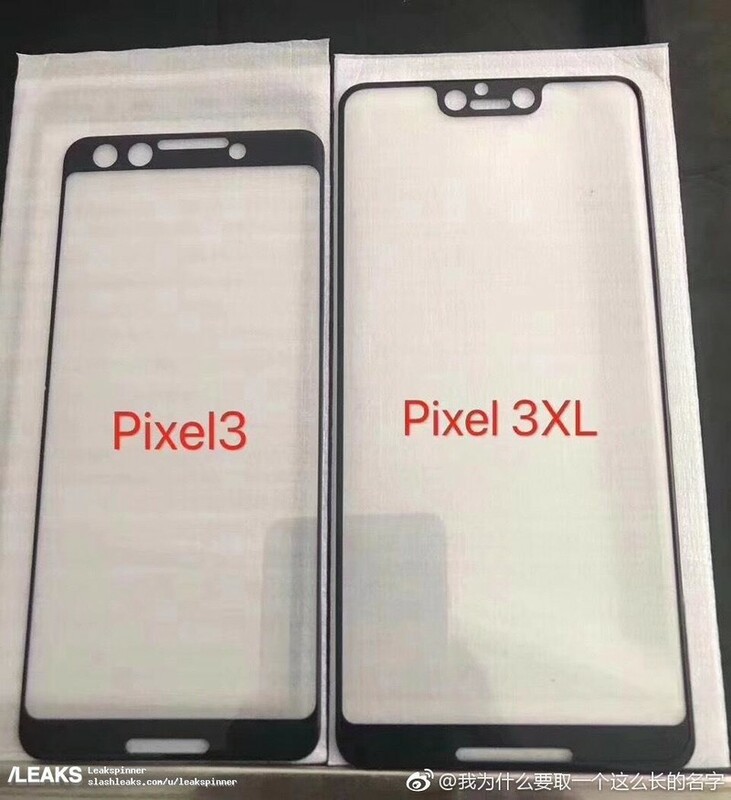 The photos confirm that the Pixel 3 will not have a notch and instead have slightly thicker bezels on the top and bottom compared to its XL sibling. 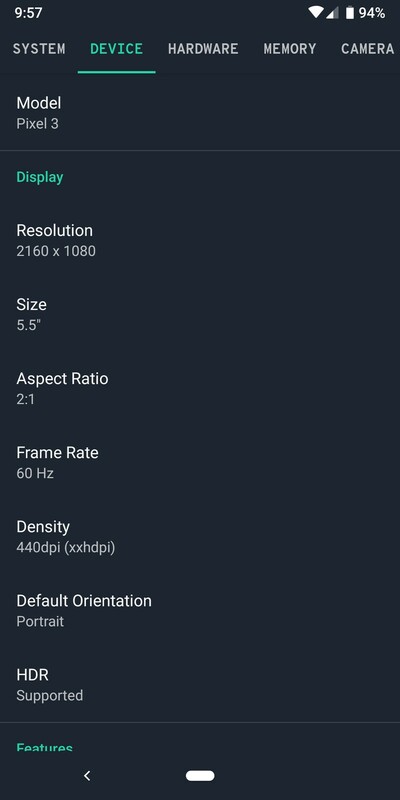 The screen measures in at 5.5-inches, the resolution is 2160 x 1080, and there’s an aspect ratio of 18:9. 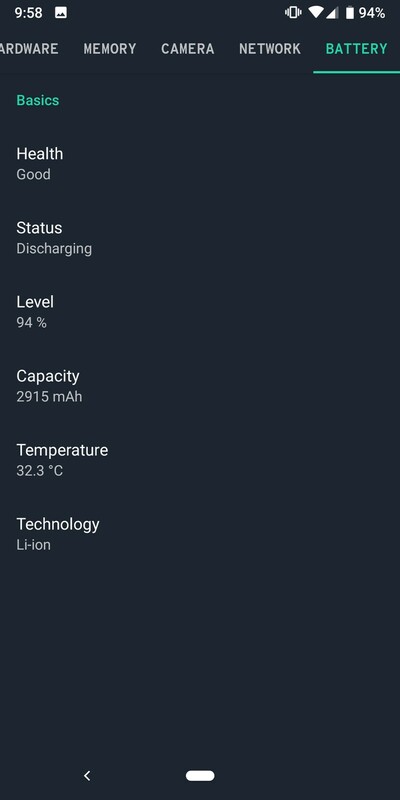 The smaller battery also appears to be a 2,915 mAh unit. Other specs from the 3 XL are carried over to the Pixel 3, including the Snapdragon 845 processor, 4GB RAM, dual 8MP front cameras, etc. Also, in an update to the Reddit post, it’s said that the Pixel 3 in the above photos is part of a carrier testing program that isn’t Verizon. Contrary to reports we heard earlier this year, this suggests that Verizon’s exclusivity of the Pixel line may finally be over. It’s pretty difficult to be surprised by a Pixel 3 leak anymore, but that certainly hasn’t stopped them from flowing in. Most recently, a YouTube channel by the name of In DIGI uploaded a high-res 1080p Full HD unboxing video that shows the Pixel 3 XL being taken out of its packaging in one of the crispiest clips we’ve seen yet. In addition to the Pixel 3 XL itself, the box is also home to the Pixel Bud-like wired earbuds that definitely appear to be included with the phone, #teampixel stickers, USB-C charging cable, USB-C to USB-A adapter, a USB-C to 3.5mm adapter, and AC wall adapter. The video gives us an up-close look at the front and back of the phone, as well as a few camera samples. Alphabet Inc.’s Google also plans to debut new Pixel phones on Oct. 9 at a media event in New York City, other people familiar with the plans said. Google declined to comment on this news, but that lines up with earlier rumors and the press events for the company’s previous Pixel announcements for the past two years. We’ve known for quite some time that the Pixel 3 and 3 XL will have dual front-facing cameras, but up until now, it’s been a mystery as to what the second sensor will actually do. Thanks to a report from 9to5Google, we now have some more info as to what these sensors will be used for. 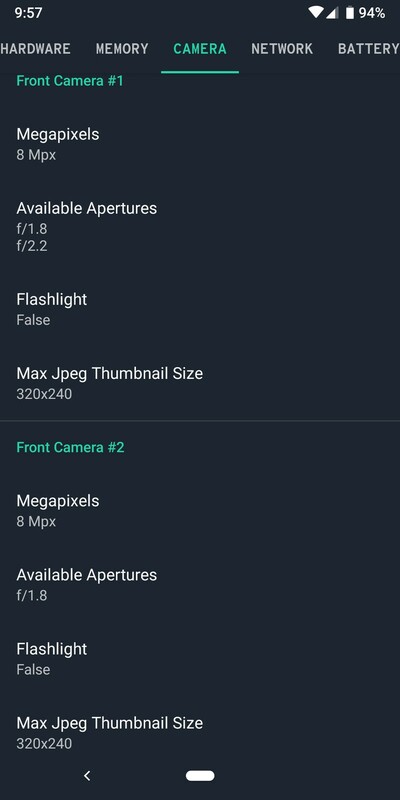 According to one source the site spoke with, the two cameras will allow for a new “Super Selfie” mode with another mention of there being an “improved Portrait Mode.” A leak from earlier today revealed new Portrait settings in the camera app, so that all lines up quite nicely. As for the second sensor specifically, another source claims that this will act as a wide-angle lens so that users can fit more people in the frame in a single shot. Details on the single rear camera are still pretty scarce, but 9to5 also mentions that one of their sources mentioned a “new Visual Core chip” and that Google is “doubling down on making a single camera powerful enough to not need a second camera. 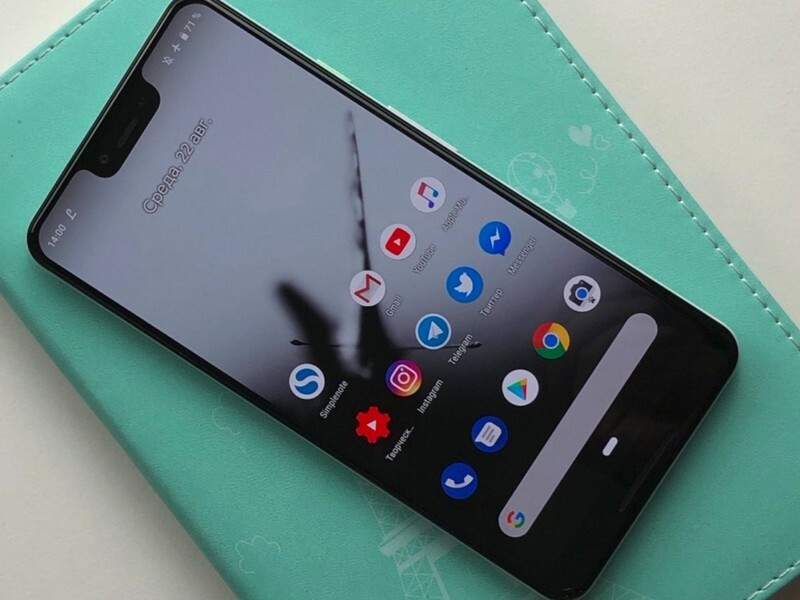 Kicking things off with a bang this morning, Russian website Mobile-Review recently published a “first look” at the Pixel 3 XL using a prototype model that was sent to it by “an anonymous well-wisher.” This hands-on is very similar to other ones we’ve seen already, but there are a couple new tidbits worth mentioning — specifically with the Pixel 3 XL’s camera app. The UI shown here is a bit different from what we currently have on the Pixel 2. Rather than swiping open a hamburger menu to change shooting modes, the app now has them listed above the shutter button. Users can cycle through Panorama, Portrait, Camera, and Video. Tapping the More icon gives options for Google Lens, Slow Motion video, and Photo Sphere. Portrait mode now allows you to choose between Natural and Soft face-retouching in addition to toggling it off altogether, a new “Google Lens suggestions” mode is featured, and the rear camera is confirmed to be 12.2MP while the front-facing camera is 8MP. For whatever reason, only one front-facing camera is mentioned in the app despite the Pixel 3 XL clearly having two. As for the included earbuds, the instruction manual that comes with them indicates you’ll be able to use the in-line controls for controlling music, answering calls, and prompting the Google Assistant. It’s not an uncommon practice for smartphones to be leaked ahead of their official release, but with the Pixel 3 XL, the quantity and quality of leaks we’ve been getting lately has been somewhat staggering. The first hands-on photos of the Pixel 3 XL were shared all the way back in June, and since then, it’s been a nonstop flood of leak after leak. According to a new report from 9to5Google, a large portion of the leaks have been appearing thanks to a black market dealer over in Ukraine. Essentially, this dealer somehow acquired multiple models of the phone and is shipping them from London at a price of $2,000 USD per phone. 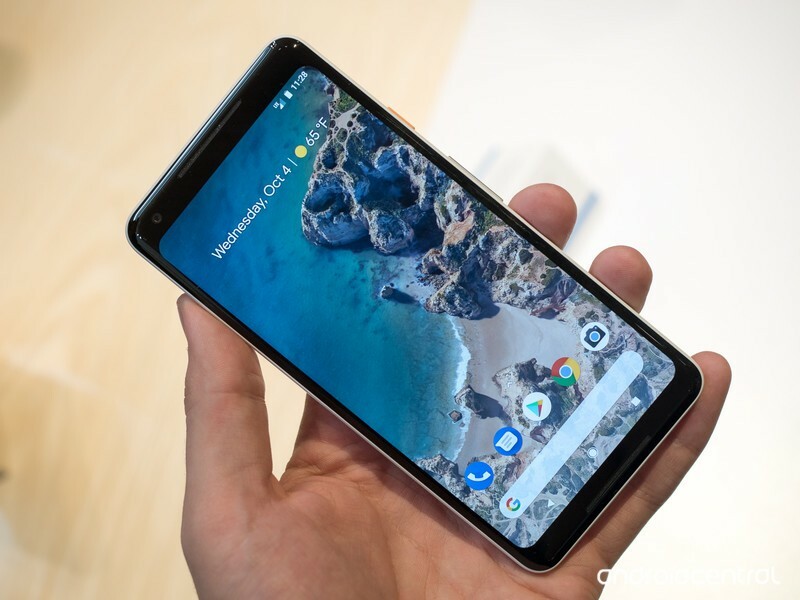 They’re said to be pre-release versions of the Pixel 3 XL, with it noted that “everything looks and works exactly the same” compared to the final versions that’ll be released in October. We aren’t sure how many units this seller has or how they obtained them in the first place, but it’s further reported that people are still buying the phones and that more leaks are coming soon. The Pixel 3 XL has reared its head in a number of hands-on photos at this point, but for the most part, they’ve been pretty low-quality and not the prettiest to look at. Thanks to user @wylsacom on Twitter and Rozetked, that’s no longer the case. These photos don’t reveal a whole lot that we haven’t seen before, but they show off the Pixel 3 XL in a much more professional manner and, more importantly, a higher resolution. The notch is as big as ever, the back is definitely all glass, and thanks to a shot of the settings page, it appears that Active Edge is returning so you can squeeze the sides to prompt Google Assistant. Thanks to various hands-on photos, we’ve known for a while that the Pixel 3 and 3 XL will come with all-glass backs. However, up until now, it’s been a mystery as to whether or not wireless charging will make its way to the phones. At least for the larger Pixel 3 XL, a video that was shared by user @khoroshev on Twitter confirms that this feature is, in fact, present. The video above shows the Pixel 3 XL being placed onto a wireless charging pad, and when it makes a contact, a small animation appears on the screen to show the current battery percentage and to indicate that charging has begun. Google’s obviously yet to confirm the legitimacy of this video, but it sure does seem like wireless charging is a go for the Pixel 3 lineup. Along with the video, that same person also took to Instagram to share a heap of photos that he supposedly captured with the Pixel 3 XL. Just like the Pixel 2 before it, the pictures showcase great dynamic range, excellent colors, and more. We don’t have access to the full-resolution files seeing as how these were uploaded to Instagram, but even so, it’s a great early look at what’s to come. You can check out all of the photos here and here. 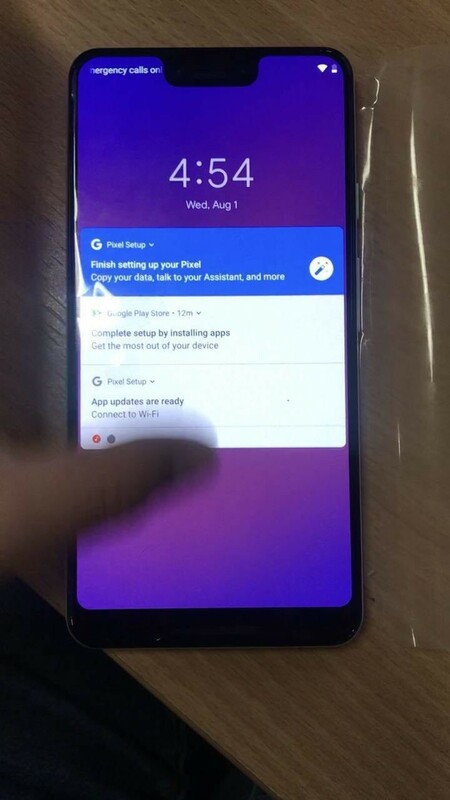 Surprise, surprise — another Pixel 3 XL leak! A reader of the Canadian tech site MobileSyrup recently snapped the above photo while riding a streetcar in Toronto. 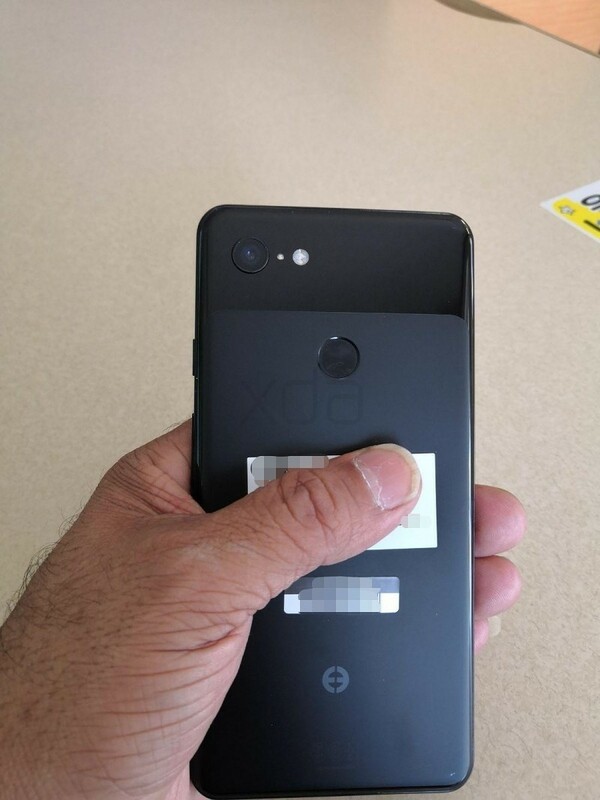 As you can see, the phone shown in the picture appears to be none other than the Google Pixel 3 XL. While Google’s yet to formally unveil the phone, the device lines up with everything else we’ve seen so far. It’s running Android P, has a chin below the display, and its large notch is impossible to miss. 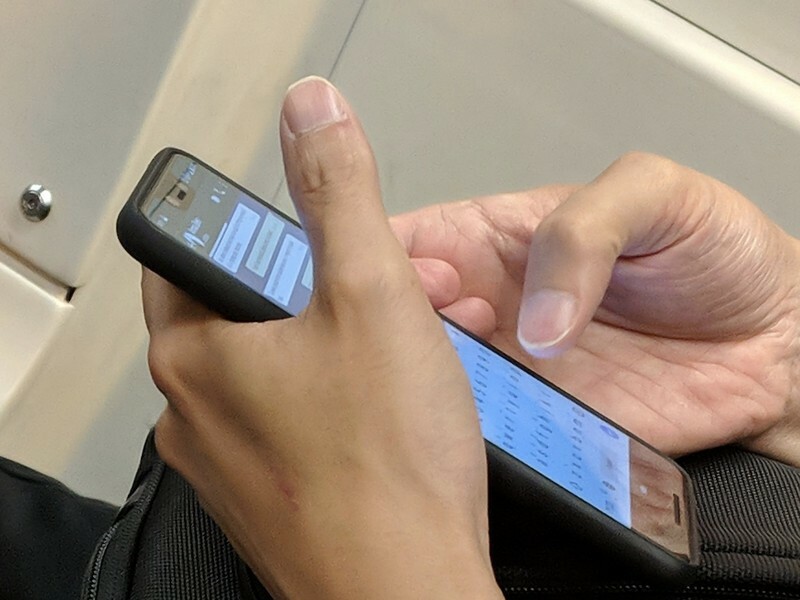 This photo doesn’t reveal anything we didn’t already know about the phone, but the fact that Google’s got people using these out in the wild confirms that we’re not too far off from an official launch. The same person that shared those Pixel 3 XL photos and unboxing video from a couple days ago has returned with yet another video that reveals even more about the phone. In this video, we can see the Pixel 3 XL actually being used. It’s running Android 9 Pie (no surprise there) and appears to have the same UI of the Pixel and Pixel 2 running the new software. The most interesting of those specs are the front-facing cameras. Antutu lists three 8.1MP sensors up front, although in the video we can only see two. This could be nothing more than a glitch in the app, or Google could have implemented some sort of mystery camera up there. We really aren’t sure about that one. 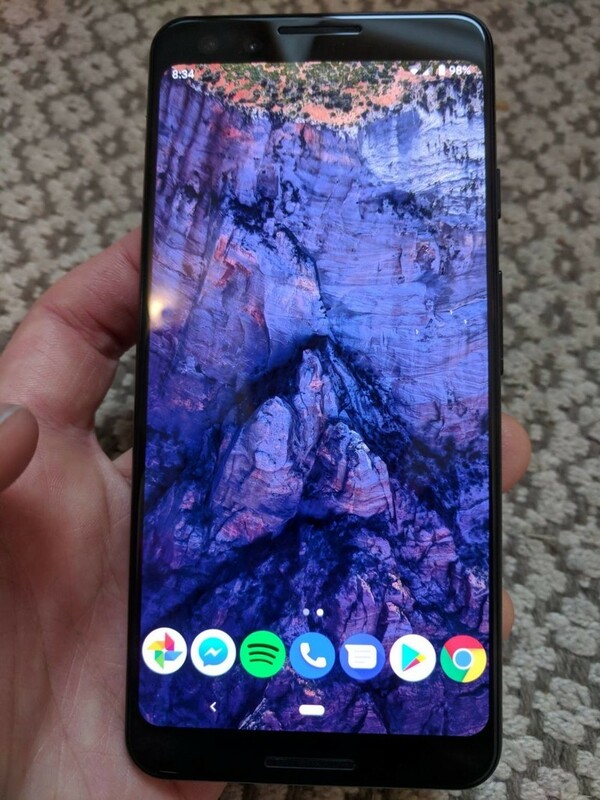 Previous renders and real-world pictures have already given us a clear look at the Pixel 3 XL’s design, and to help make that image as clear as humanly possible, SlashLeaks recently shared three additional hands-on photos and an unboxing video of the phone. 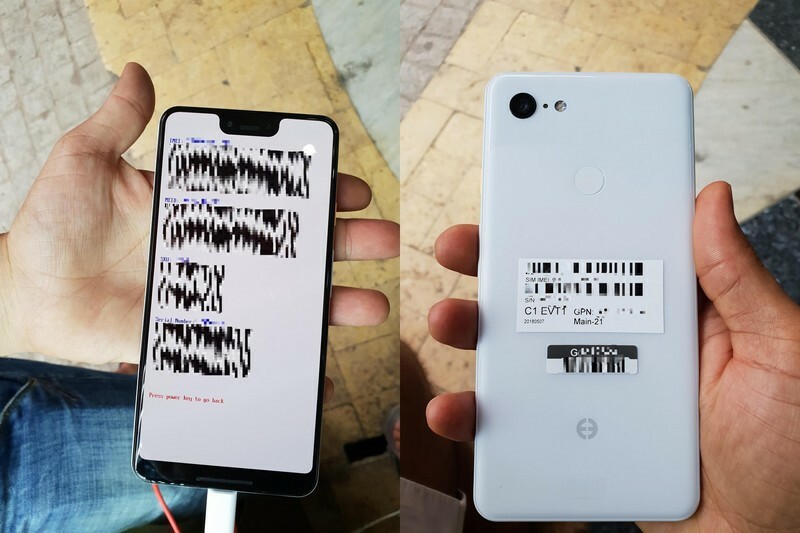 One of the photos shows the back of the white Pixel 3 XL while the other two showcase the front. We once again see that Google will be sticking with just one rear camera and a rear-mounted fingerprint sensor, and unfortunately, that notch hasn’t shrunk at all since the last time we saw it. Moving over to the unboxing video, it’s apparent that Google’s using very similar packaging compared to the Pixel 2 and 2 XL. The box does contain a pair of wired USB-C earbuds in addition to the Pixel 3 XL, but seeing as how Google experimented with this idea for last year’s release, we aren’t entirely sure if the free buds will stick around for the final retail packaging. While we’ve seen plenty of leaked renders and specs for the Pixel 3, talk about its release date has been fairly quiet. That is, up until now. As spotted by Brandon Lee from the YouTube channel This is Tech Today, the Pixel 3 is shown to be released on October 4 according to the website Famebit. Famebit is a website that allows companies to connect with content creators and work out deals to create sponsored content for YouTube videos, Instagram posts, etc. An ad on the site was recently created by Google and asks for Canadian creators to switch to the Pixel 3 and then making a video talking about their experience. While there’s no way to confirm if this ad really was created by Google, that October 4 date is what we were previously expecting anyways. That’s the same day Google used to announce the Pixel and Pixel 2 before, so it makes sense that it’d keep the trend going this year. 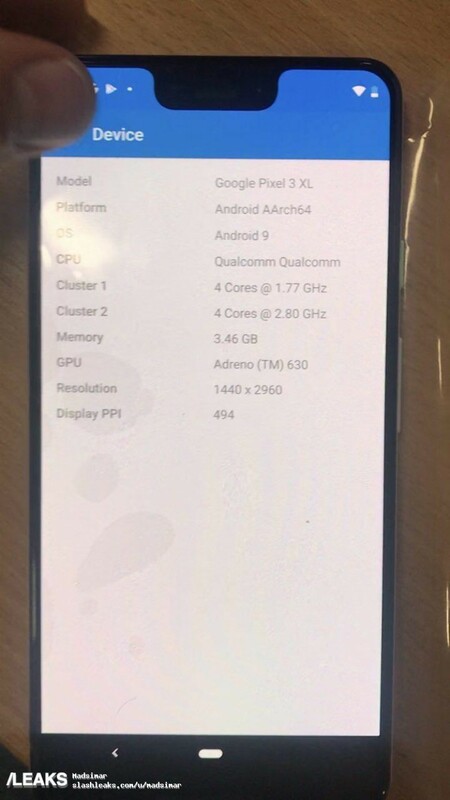 We just got our best look at the Google Pixel 3 XL courtesy of XDA. The images in question show off the Clearly White color option, and the live photos confirm a cutout at the front and a single rear camera. We can also make out a single speaker located below the display. The XDA leak once again reaffirms the presence of a glass back on the Pixel 3 XL, with the finish alternating between glossy and matte. A glass back opens up the possibility for wireless charging, but for now there’s no further information as to whether the feature will make its way to the device. A teardown of the Google app by the folks at XDA has served up interesting information. The code references something called a Pixel Stand, leading to suggestions that it will be a wireless charging dock for the upcoming Pixels. According to XDA, the Pixel Stand will feature Assistant integration, and will be able to offer personalized suggestions and answer queries when the phone is docked. 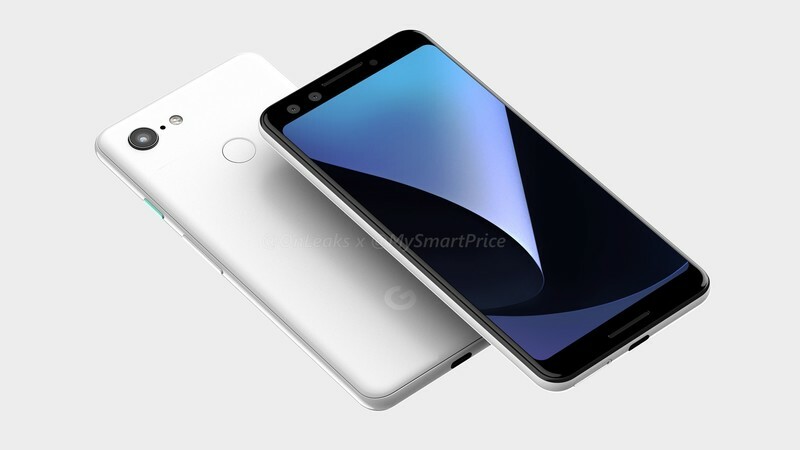 As if previous leaks of the Pixel 3 and 3 XL haven’t been revealing enough, MySmartPrice teamed up with OnLeaks to share a boatload of both photo and video renders of the two phones. 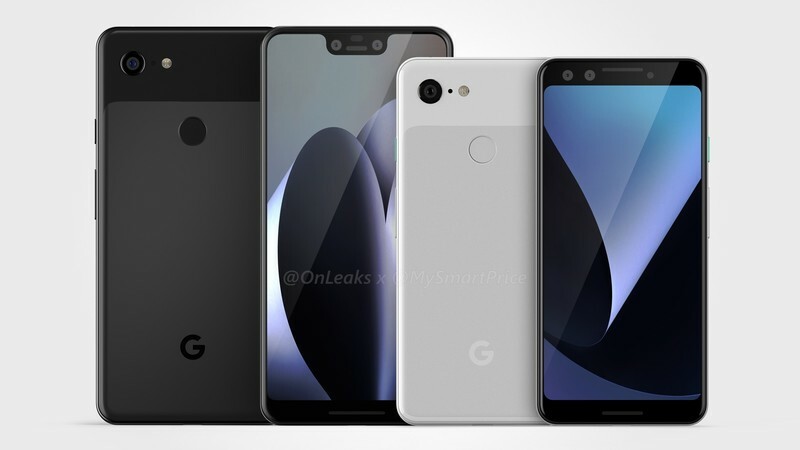 These renders confirm a lot of what we’ve previously seen, including things like an all-glass back for both phones, single rear cameras, and a notch on the larger Pixel 3 XL. 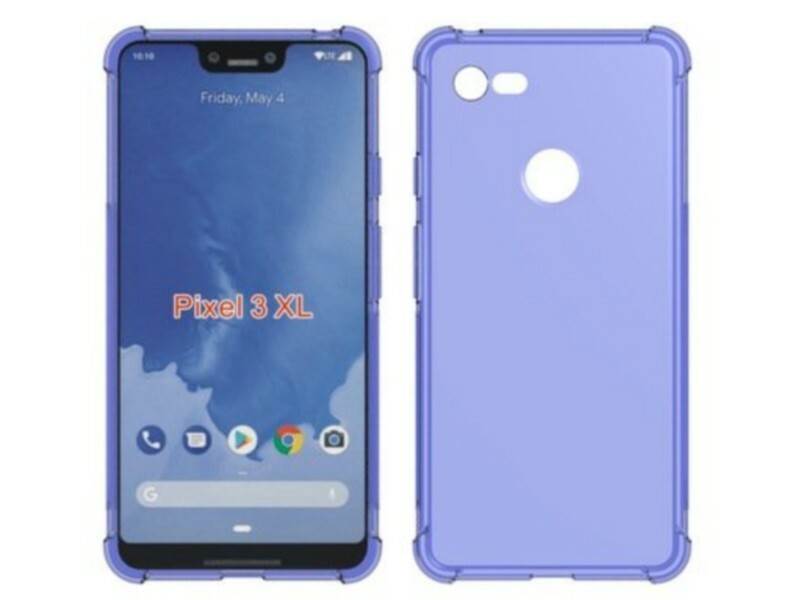 However, while earlier rumors suggested that only the 3 XL would have two front-facing cameras, these renders show that the regular Pixel 3 will have them, too. The Pixel 3’s display is said to measure in at 5.4-inches with an 18:9 aspect ratio, whereas the Pixel 3 XL will have a 6.2-inch screen and 19:9 setup. 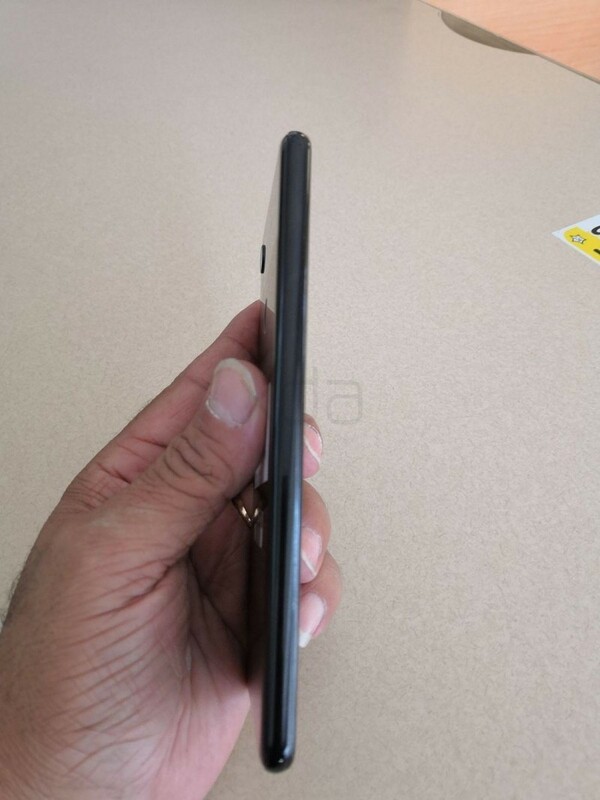 As for the dimensions, we’re looking at 145.6 x 68.2 x 7.9mm for the Pixel 3 and 158 x 76.6 x 7.9mm for the 3 XL. 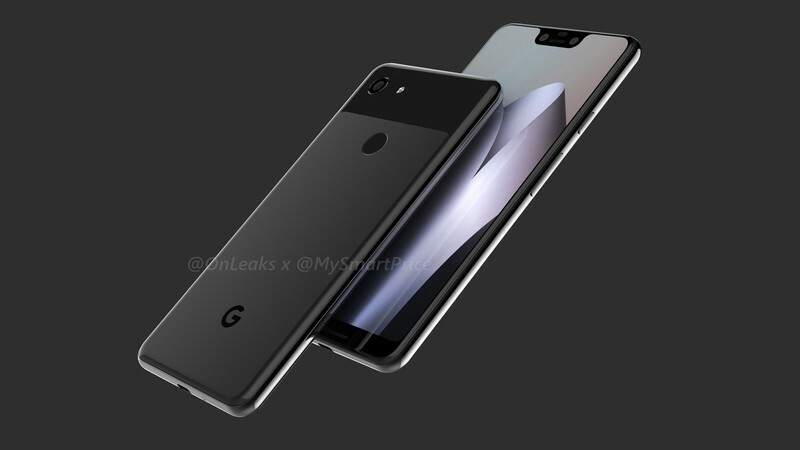 Ice Universe on Twitter has built up a reputation for being pretty accurate about leaks/rumors in the mobile space, and on June 18, they shared a case render that further confirms the Pixel 3 XL’s design. 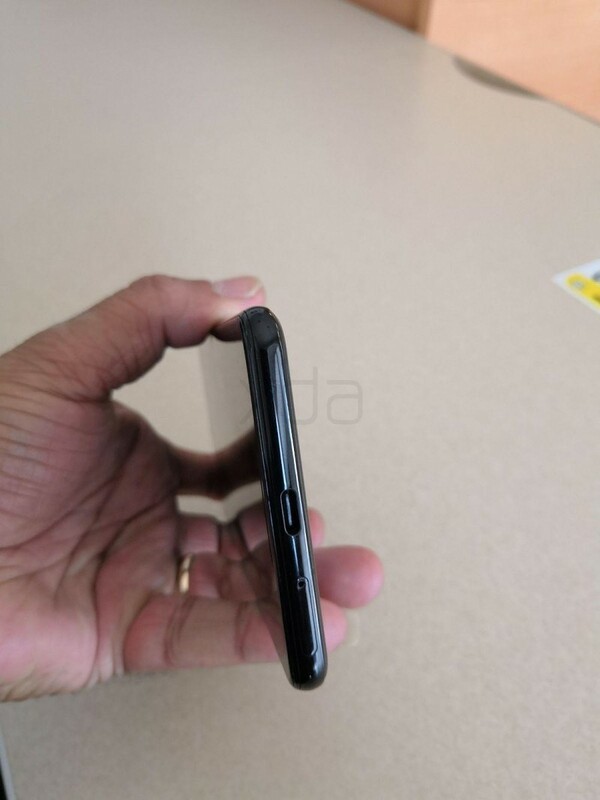 Like we saw with the hands-on photos on June 7 and 8, the Pixel 3 XL will have a notch in its screen, dual front-facing cameras, stereo speakers, rear-mounted fingerprint sensor, and a single rear camera. It’s peculiar that Google’s choosing to use two cameras on the front while keeping just one on the back, but based on how excellent the Pixel 2’s single rear camera is, I don’t expect this will be a downside at all. Less than a day after those first two hands-on photos of the Pixel 3 XL surfaced, six more have appeared. 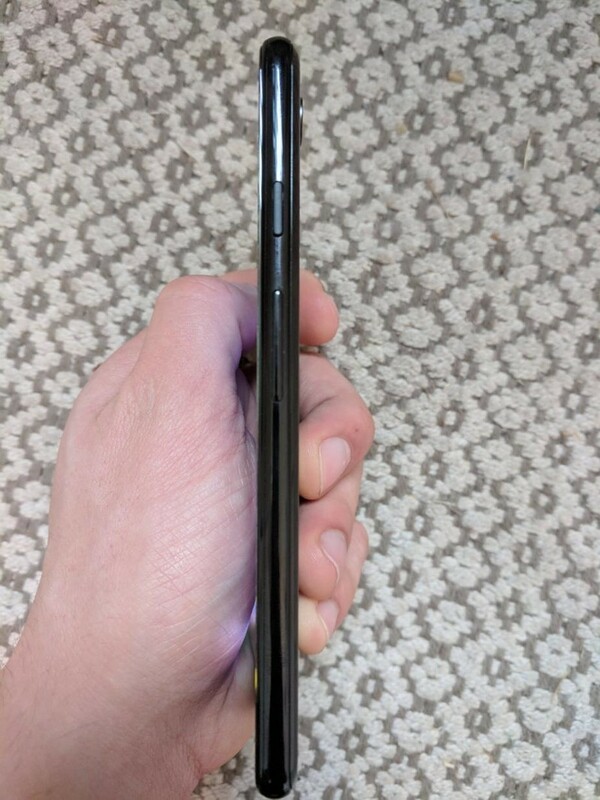 These additional photos showcase the Pixel 3 XL from every possible angle, and when XDA Developers reached out to their forum member that shared them, they were able to confirm that the phone has a full glass back. In other words, it’s possible this year’s Pixel line may finally adopt wireless charging. 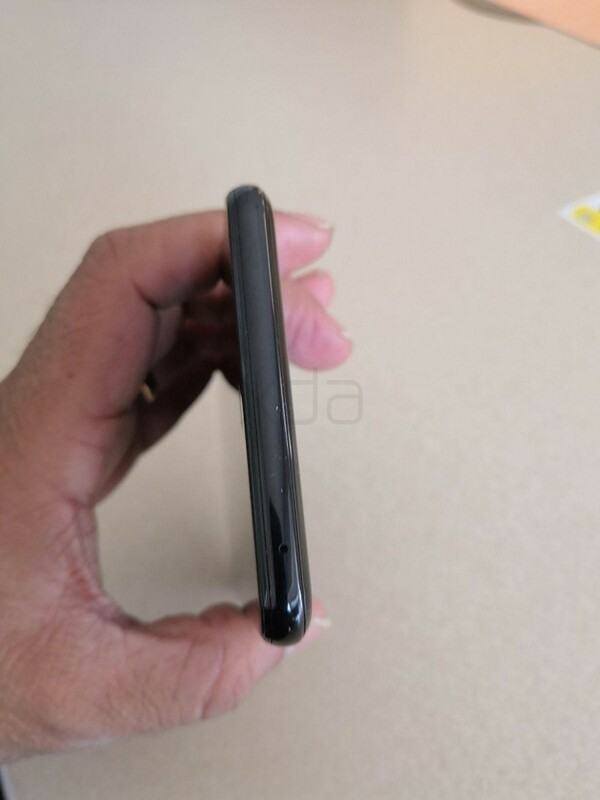 The front and back photos are pretty similar compared to what we saw yesterday, but the other images showcase a reflective glass frame around the phone, volume rocker and power/lock button on the right side, and a USB-C port and SIM slot on the bottom. 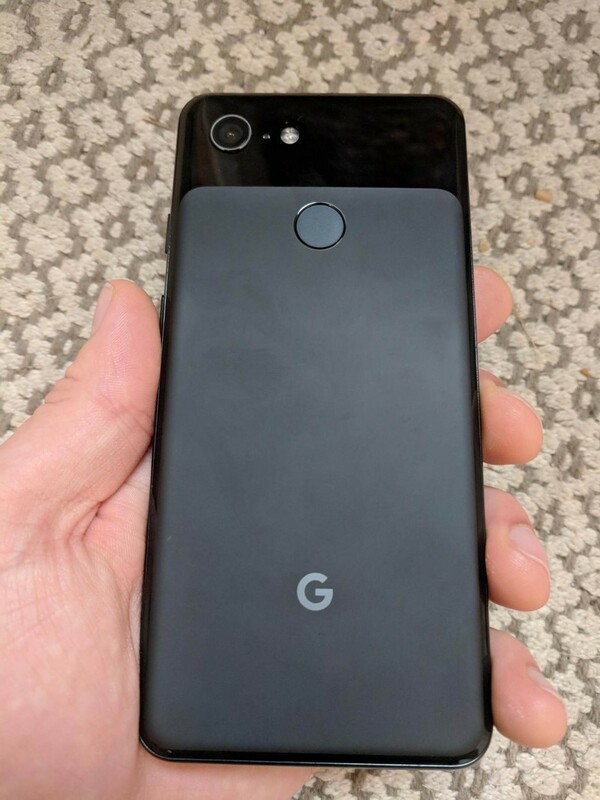 Also, as 9to5Google pointed out, that mysterious logo on the back of the Pixel 3 XL was used previously with old Pixel 2 prototypes. 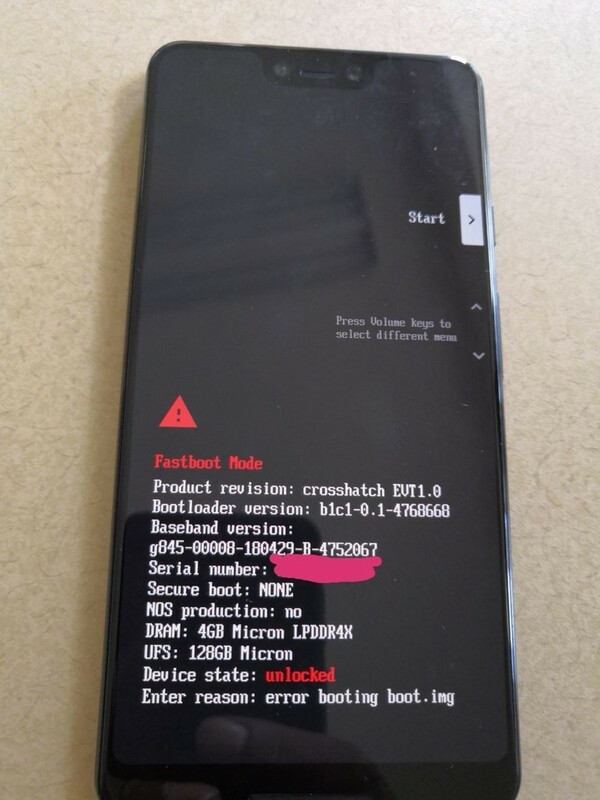 Out of the blue, XDA Senior Member meraz9000 shared two photos on the XDA Forums showing what’s supposed to be a prototype of the Pixel 3 XL. There’s obviously no way we can confirm whether or not this is the real deal, but it sure does line up with the display panels that were leaked last month. 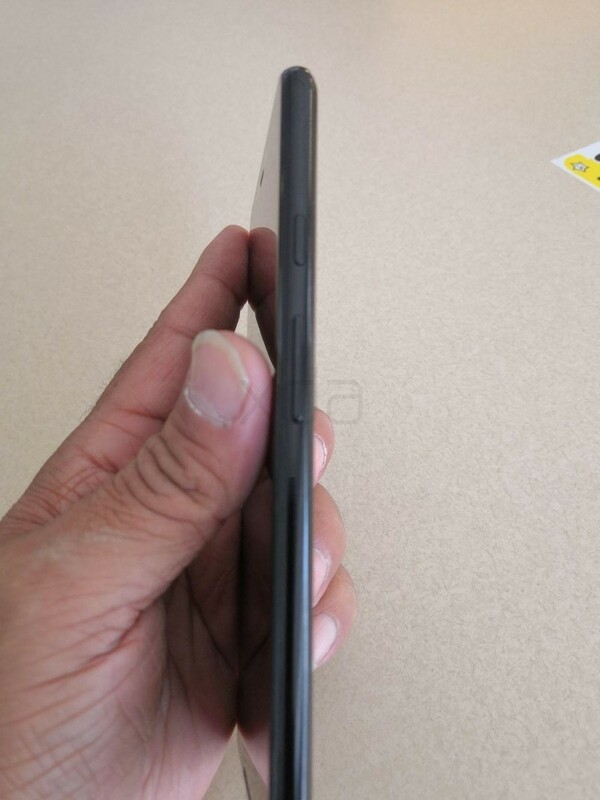 The photos show the Pixel 3 XL from both the front and back, with the front reiterating the point that the 3 XL will more than likely have a notch in its screen. For what it’s worth, it does look like we’ll be getting two front-facing cameras and a chin at the bottom to retain stereo front-facing speakers. 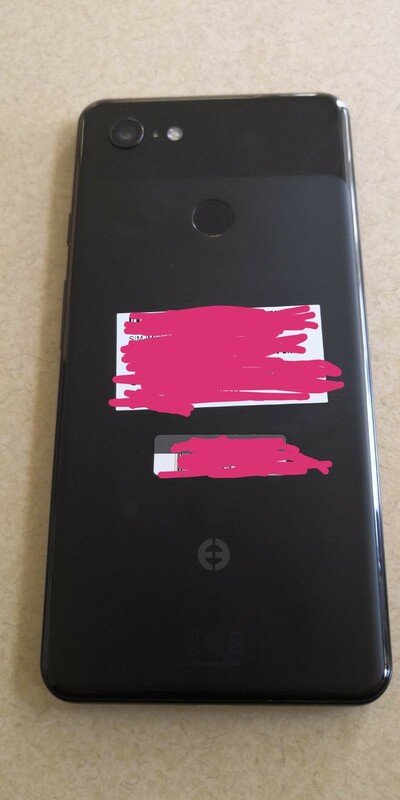 Around back, this Pixel 3 XL prototype looks nearly identical to that of the Pixel 2 XL. The glass panel seems to be ever-so-slightly smaller, but that could just be the way the photo was taken. In any case, what do you think about how the Pixel 3 XL is shaping up? According to one tipster, Google’s in the process of developing a mid-range Pixel phone that’s codenamed “Bonito” and is powered by the Snapdragon 710 processor. Rumors of a mid-range Pixel first popped up in April, but the old claim of it launching this July has since been replaced with a release scheduled for the first half of 2019. That would suggest that Google may launch this new Pixel phone during I/O next year, but with so much discrepancy surrounding the release date, it’s entirely possible it’ll be announced alongside the Pixel 3 in October. The Pixel 3 series will once again be exclusive to Verizon Wireless in the U.S.
Just a couple days after the Pixel 3 XL’s notched panel leaked, a report’s come out of Korea claiming that Google will once again use LG to manufacture and supply an OLED screen for the phone. If this turns out to be true, one can only hope that LG’s improved the quality of its mobile panels since last year. The LG-made Pixel 2 XL display was the center of a lot of controversy for the phone’s first few weeks out in the wild, and Google really can’t afford to go through that again with gen-three. What do you think about LG making the Pixel 3 XL’s display? Here’s an interesting leak that, while not necessarily all-telling, gives us an indication of where Google is taking the series in 2018. Specifically, the larger Pixel 3 XL looks to have a notch while the smaller Pixel 3, though moving to a 2:1 aspect ratio, will lack one. At the same time, we see some sensors that may indicate Google is adding either a second front camera to the phones or, more likely, some sort of dedicated biometric sensor for faster/more reliable face unlock. 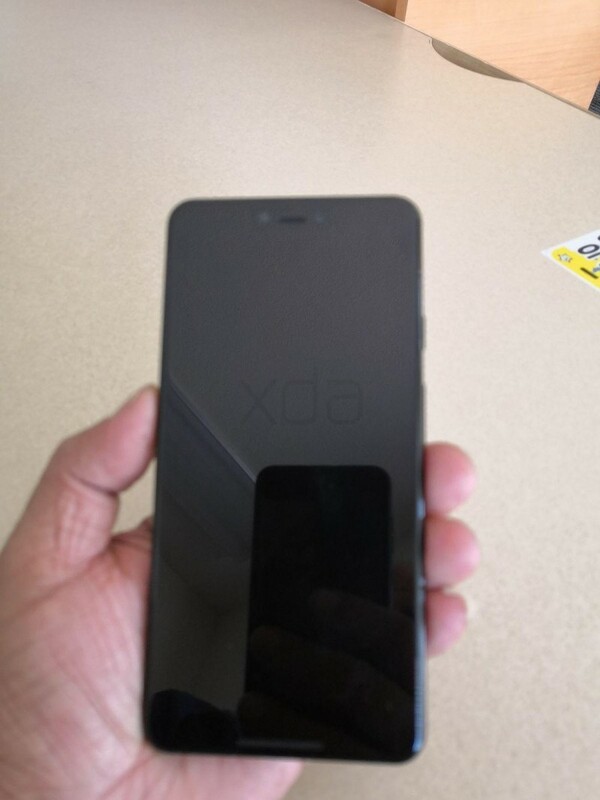 The leak comes from Weibo (by way of Slashleaks) and reportedly shows two front glass panels for the new phones. Given that we’re almost in June, this would be the time for accessory makers to begin testing products for the final phone design. It’s also good to see Google maintaining dual front-facing speakers for the lineup. What do you think of this latest leak? Google’s hardware events surround the Pixel phones with a heap of other product announcements, and this year, it’s reported that we’ll see a second-gen version of Pixel Buds and Google’s first Pixel-branded smartwatch. Specifics on these gadgets are still up in the air, and as excited as I am to see how Google improves its wireless earbud game, I’m beyond ecstatic to see how the company’s first smartwatch turns out. Wear OS is in an awkward stage right now, but a proper Pixel Watch and new silicon from Qualcomm could bring it back into the limelight. Assuming Google handles this right, the Apple Watch may soon be faced with some of its stiffest competition yet. When will the Pixel 3 be released? In 2016 and 2017, Google held its hardware event on October 4. We don’t have a concrete date for this year’s event quite yet, but there’s no reason to believe Google will deter from this pattern. A Bloomberg article reports that the event will be held on October 9, and while that’s a few days later than the past two announcements, is still within the general ballpark we were expecting. Pre-orders for the Pixel 3 will likely open shortly after it’s announced that same day with shipments going out at least a couple of weeks later. How much will the Pixel 3 cost? I imagine we’ll see similar numbers with the Pixel 3, but don’t be too surprised if we get a Pixel 3 XL variant that crosses the $1000 threshold.